in case you will visit egypt, there are some important and basic tips you should know before you take your plan. Obtain visa in advance unless you are traveling only to the Eastern Coast of Sinai from the Taba Terminal (10 km. south of Eilat). Non-Egyptian visitors arriving in Egypt are required to be in possession of a minimum 6 months valid passport. Entry visas may be obtained from Egyptian Diplomatic and Consular Missions abroad or from the Entry Visa Department at the Travel Documents, Immigration and Nationality Administration (TDINA). It is, however, possible for most tourists and visitors to obtain an entry visa at any of the major ports of entry. Please check with the nearest Egyptian Consulate for specific details and regulations relevant to your nationality. Although we will be constantly updating the content of our information, it is the responsibility of the traveler to check that the below regulations are still valid. In case of any doubt please contact the Egyptian Embassy or Consulate in your country. Remember you will need to carry your passport with you at all times. If you are traveling between Red Sea cities or to a national park in Egypt, it is especially important to have your passport to be able to enter and cross possible check points between cities. � Tourist Visa: is usually valid for a period of 30 days and granted on either single or multiple entry basis. � Entry Visa: is required for any foreigner arriving in Egypt for purposes other than tourism, (e.g. work, study, etc); the possession of a valid Entry Visa is needed to complete the residence procedure in Egypt. In case your nation is not on the list of countries that need a pre-arrival-visa (please see list below), you can get your visa when you arrive in Egypt. The process is straightforward. You have to buy "visa stamps" for the amount of the fee required for your nationality. These fees vary from 15 to 50 US$ and can not be paid in Egyptian pounds. The stamps are stuck in your passport and you can proceed to the customs desk. All nationalities, except for Italian and German, need a passport with minimum 6 months validity. Upon arrival (or during the flight) they will be asked to fill in a form that will be handed over in the customs desk. Children must be in their parents� passport or being in possession of their own passport or (for Italian and German citizens) identity card valid for travel abroad. If the child is more than 10 years old, a recent picture must be on parents� passport. Children more than 11 years old cannot be in parent�s passport and need a personal passport. 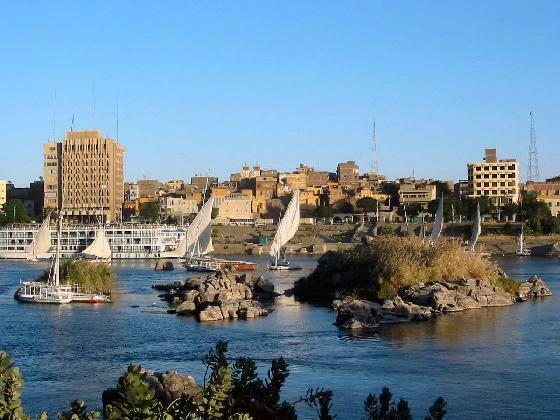 � Foreigners arriving in Egypt on board cruising ships are granted a permission to visit the port of arrival for 24 hours and catch their ship at the same port. They can also be granted a permission to enter the country for a visit not exceeding a period of 2 days before catching their ship at the port of arrival or at any other port. Passport is valid for at least 6 months and is required by all. The currency for the Egyptian are Egyptian Pound (E�) = 100 Piastres. Notes are in denominations of E�100, 50, 20, 10, 5 and 1. Coins are in denominations of 50, 25, 20, 10 and 5 Piastres. MasterCard, American Express, Diners Club and Visa are widely accepted. Check with your credit card company for details of merchant acceptability and other services which may be available. To avoid additional exchange rate charges, travelers are advised to take travelers cheques in US Dollars or Pounds Sterling. 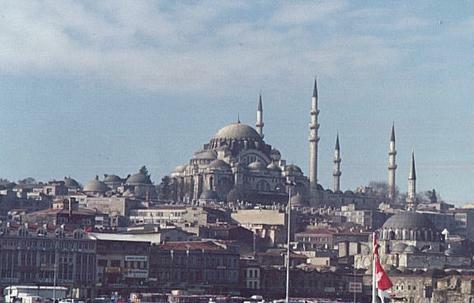 The import or export of local currency is limited to E�1000. There are no restrictions on the import or export of foreign currency as long as it is declared in an official customs form. The banking hours are Sunday to Thursday, 8.30 am to 5 pm. The Egyptians are generally courteous and hospitable thus expects similar respect from visitors. The form of handshaking will suffice as a greeting. Woman should dress conservatively and not wear revealing clothes, particularly when in religious buildings and in towns. The Western style of dress is accepted in the modern nightclubs, restaurants, hotels and bars of bigger towns. The main coastal ports are Alexandria, Port Said and Suez. A car ferry service is also available from port to port. There are two border crossings between Israel and Egypt: one runs from Cairo via El Arish to Rafah on the north Sinai coast, and the other from Cairo via Suez and Taba to Eilat. Daily coaches leave early in the morning. Passengers in taxis and rented cars are not permitted to cross the borders between Israel and Egypt. Privately owned vehicles may be taken across the border, provided the appropriate documentation is obtained. Visas should normally be obtained in advance; however, travelers entering Egypt via Taba may be able to obtain visas at the border. Egypt Air operates daily flights between Cairo, Alexandria, Luxor, Aswan, Abu Simbel, New Valley, Sharm El Sheikh and Hurghada. There is a steamer service that provides daily ferry service from cities. The traditional Nile sailing boats, or better known as feluccas, can be hired by the hour for a more relaxed sailing on the Nile. 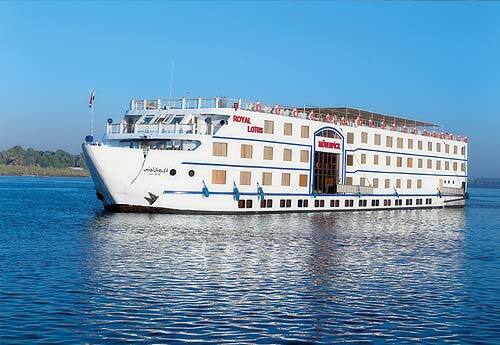 There are over 160 individually-owned boats of all categories operating on the Nile. Drivers drive on the right side of the road. Besides the Nile Valley and Delta, which holds an extensive road network, there are paved roads along the Mediterranean and African Red Sea coasts. The speed limit is usually 90kph (56mph) on motorways and 100kph (62mph) on the desert motorway. Private motoring in the desert regions is not recommended without suitable vehicles and a guide. The national bus system serves the Nile Valley and the coastal road. Main routes are from Cairo to St Catherine, Sharm el-Sheikh, Dahab, Ras Sudr, El-Tour, Taba and Rafah; from Suez to El-Tour and Sharm El Sheikh; and from Sharm el-Sheikh to Taba, Nuweiba, El-Tour, Dahab and St Catherine. Taxis are available in the larger cities and are metered. Long-distance group taxis for all destinations are cheap, although fares should be agreed in advance. Visitors owning an International Driving Permit are required to drive any motor vehicle. All vehicles including motorcycles are required by law to carry a fire extinguisher and a red hazard triangle. 200 cigarettes or 25 cigars or 200g of tobacco. 1 liter of alcoholic beverages. A reasonable amount of perfume and 1 liter of eau de cologne. The items are: narcotics, firearms and cotton; for a full list, contact the Egyptian State Tourist Office. Tipping worth 10-12% is added to hotel and restaurant bills but an extra tip of 5% is normal. Taxi drivers generally expect 10%.